Lovely! This is really cool info! Ep 3 of The SouTaker has always been my favorite, especially for standout animation. And it’s really cool to know KyoAni worked with Shinbo! Along with Studio SHAFT, KyoAni has always been my favorite studio, so this was a welcome read. I especially appreciated the Soul Taker link, as it’s been on my “To Watch” list for some time. Process accelerated LOL! I also notice something in Takemoto’s storyboard. He used shots with reflection in the eyes a lot. From that period of the studio (and later as well) there are many episodes of series and movies from their “parent” Shin-Ei where Kyoto Animation figures as credited on various tasks… was there in some of those works the same kind of meaningful participation as on the episodes you have listed on this article? Or… did they simple serve as an (habitual) additional support? If you mean with ‘meaningful participation’ that whole episodes were outsourced to KyoAni, then yes, that is also true for some of their Shin-Ei Doga collaborations. For example the ‘Doraemon’ episodes storyboarded by Tatsuya Ishihara were handled to a large part by KyoAni (key animation, inbetweens and coloring/finishing). And KyoAni’s Hare+Guu episodes were almost entirely produced by them. 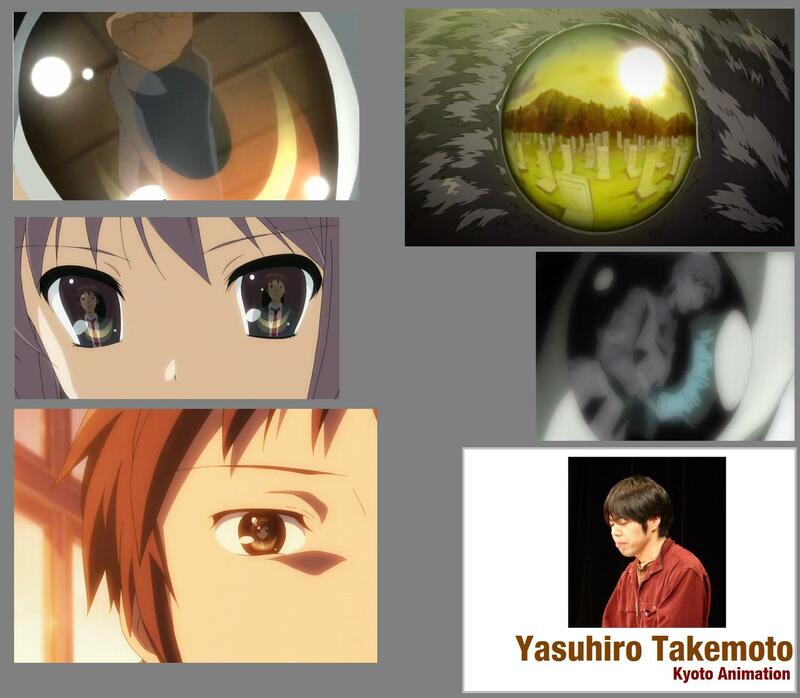 I’ll discuss some of KyoAni’s work on latter anime in Part 2 so stay tuned. That is what I wanted to know, and I’m looking forward to that part… thanks, raito-kun! Can you also provide info on which Inu Yasha episodes KyoAni worked on? KyoAni worked on dozens of Inuyasha episodes: 3.11.13.15.20.26.30.34.39.43.44.48.53.58.63.68.73.78.83.88.93.98.103.105.108. 113.118.123.128.135.138.143.146.153.158.163. That should be pretty much all.